The external walls of our commercial and industrial properties can take a battering from the wet and windy British weather, causing excess algae and moss on these surfaces. Choosing the wrong non-specialist contractor, equipment or cleaning methods can lead to discoloration or even permanent damage to the surface of the building render, leaving more of an eyesore than the actual growth which was being removed. Property owners and management companies are well advised to employ the services of a specialist render cleaning company in order to ensure that damage and further staining is not incurred. 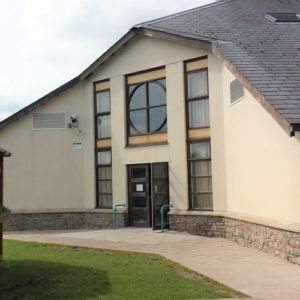 At APT-ICC we are highly experienced in all commercial building cleaning methods and the most efficient and effective way to remove algae and moss from a building facade without causing damage to the render. Algae is probably the most common problem when it comes to render cleaning and cladding cleaning. 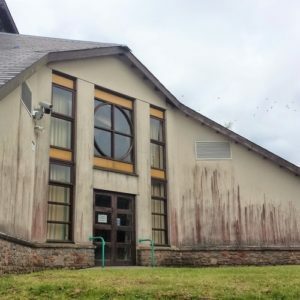 As well as ruining the building’s appearance, algae tends to grow within the pores and joints of brickwork, cement and render surface leading to structural weaknesses which can become loose or dangerous if left untreated. Our research shows that using specialist algae remover products, such as our specially developed Algae Free, will kill off biological organisms such as algae and moss ensuring that the underlying render is ready to be gently washed down.